I recently took part in a study, analyzing over 30,000 AdWords accounts to see what effect machine learning had on performance. While the results were positive overall, there were several areas where many campaigns were missing opportunities across basic AdWords principles. After conducting some further research into these SEM mistakes, I found that they weren’t the only ones. In this article, I’ve distilled the six most common SEM mistakes that marketers make when executing and managing their AdWords campaigns. But I won’t simply prod at the open wounds—I’ll also include actionable steps you can use to remedy these mistakes and make your SEM efforts even better. And so on. 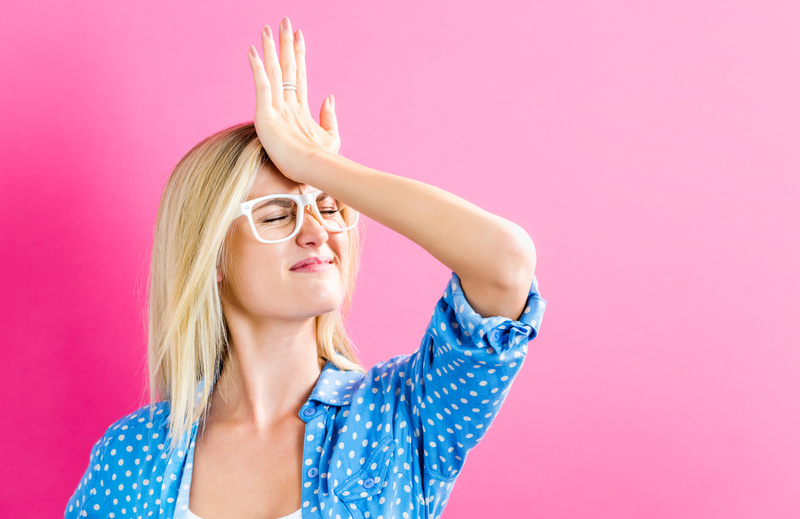 Yet one of the most common mistakes marketers make when running campaigns is engineering their landing pages to match their campaigns and keywords. It’s a common occurrence: a user searches for a keyword and clicks on an ad, only to see a generic, “catch-all” landing page. While this is easier from a resource perspective, it doesn’t provide a tailored experience to the user. They’re searching for a keyword, but instead, see a landing page that doesn’t address the specific pains they’re looking so desperately to remedy. As a result, the user bounces, never to be seen again. Getting your ad-to-landing page match optimized begins with keyword targeting. Instead of creating ad groups for several keywords, create separate groups for each of them. Now you have laser-focused targeting; it’s time to build your landing page. But providing a tailored experience doesn’t mean having to build each landing page from scratch. In fact, it’s often best practice to maintain consistency across all your landing pages. However, it is important to tailor the copy of that landing page to what users are searching for. 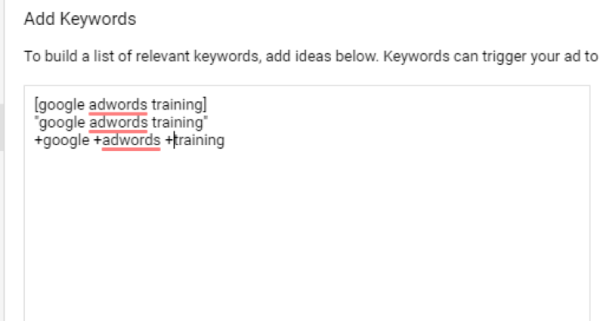 In our example above, we know that users are searching for “Google AdWords Training.” We wouldn’t want to send them to a generic landing page offering digital marketing training. Instead, tailor your headline and copy to the intent of the searcher. Even if you offer something broad, ensure the positioning is clear on how it solves the specific problem of the searcher. In the example below, Alexa focused on one core challenge their software solves: finding the right keywords. Alexa doesn’t talk about their entire offering. Just one single challenge, and how their platform solves it. It’s specific to the user and their pains. And that’s why it works so well. Of course, the bridge between your chosen keywords and your landing pages is the ad itself. Which brings us to mistake No. 2: ad copy that fails to grab attention and inspire action. If you’re not writing ad copy that aligns with the searchers intent (more on this soon) and compels them to click, you’re not going to generate the best results you can. Let’s look at what your ads should include in order to supercharge your CTR. First, make sure they include emotional triggers. These triggers are especially useful when polarizing “casual searchers” who aren’t looking for immediate relief. As you can see, it plays upon the desire to avoid pain. If there’s a way to get fit without trying yet another diet, then people are likely to be curious about it. Play upon FOMO (fear of missing out). Limited numbers and countdown timers can increase clicks based on the scarcity they communicate. Communicate benefits. Forget about features and save them for your landing page. Show how you’ll solve their problem. Be clear on the outcome that using your product or service will provide. Keyword match types define how wide a net you cast with your targeting. Choose “exact match,” and you’re going after only those who type the exact phrase you’re targeting. Go broad, and you’re more likely to target those who have no interest in what you’re offering. The match type challenges also tie into another, relevant SEM mistake: not using negative keywords. Auto-match: This will allow Google to target other keywords with a surplus budget. This works similarly to broad match, but will only do so if you haven’t used up your daily budget. As you know, broad match keywords are great for driving high volumes of traffic. The downside is most of this traffic may not be very targeted. When using broad match, you must keep a constant eye on your reporting. 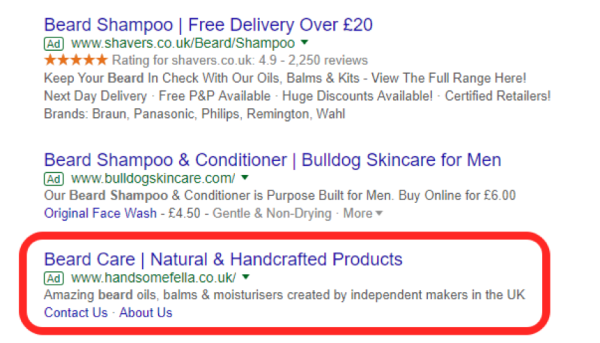 Ensure you’re not paying for clicks from unrelated keywords. It talks mostly about oils and moisturizers, so may not be the best landing page to drive traffic. For more control, I recommend the phrase match type. With it, you target only the keywords most relevant to your offering and value proposition. Know what you’re promoting: While this may seem obvious, some marketers try to sell several products within a single campaign/set of keywords. Start small and expand. Focus on what makes your individual products and services unique. Consider how your audience searches: The way you describe your offer might be different to your customer’s definition. Perform thorough keyword research, look at your Google Analytics search reports, and consider speaking to your customers directly to understand how they look for your products and services. Use negative keywords: Keep a constant eye on your reporting and look for irrelevant keywords as quickly as possible. This is especially important if you’re targeting broad match keywords. Include specific words (“cheap” or “luxury”) as well as entire phrases (“beard oils”). This topic has been covered to death. Yes, it’s still important, but if you haven’t done anything by now, then you’re soon going to be losing out on traffic. Here, I want to focus on optimizing the entire customer journey for mobile. If you’re targeting a set of keywords on all devices, it’s important to segment every aspect of your campaigns. In some cases, mobile ads are often cheaper than desktop ads. 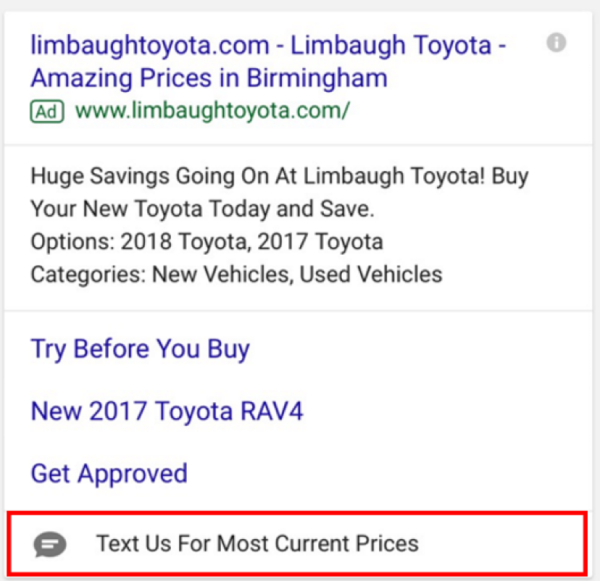 Use bid modifiers to adjust your bids for mobile devices by a percentage of your overall ad group budget. Note that this isn’t always the case, so it’s a good idea to get data on your overall campaign performance before making a decision. Look at cost reporting across all devices and optimize where you see fit. Ad extensions have always been a solid method of grabbing more SERP real estate. This same principle applies to mobile extensions. But the key is in utility over attention. If you’re running mobile ads, it’s likely your searchers have an immediate need. For example, if you run a local service business, people may want to call you out of urgency. “Add to:” Here, choose the ad group or campaign your extension will appear in. “Phone number:” Choose your country of residence and the cell number you’ll use to interact with your audience. 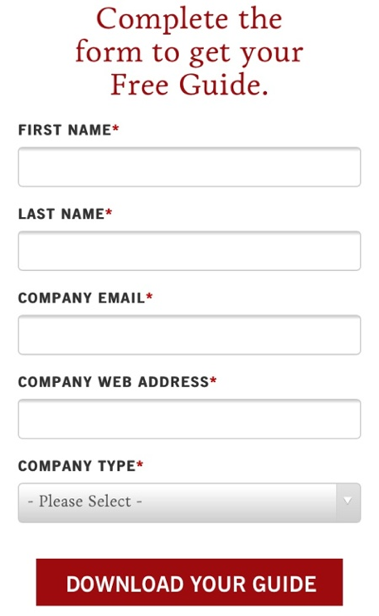 “Extension text:” Use this area to grab attention and compel users to take action. Use copywriting principles to persuade users to act and reduce friction (e.g. “text us for free”). “Business name:” Required for when searchers message you. “Message text:” Provides a pre-populated message for users. Voila! You’ve given your audience a whole new channel to communicate with you and your brand. Optimizing your ads for mobile doesn’t just stop at ad extensions. By creating mobile-specific ad creative, you can test and segment your data with ease. Get to the point: Searcher’s attention span is lower on mobile than desktop. So put your hardest-hitting value proposition, benefits, offers, etc. early on in the ad copy. Keep it short: You only have a short time to get their attention. Use short copy to cut through the noise. Use short keywords: With this in mind, consider targeting shorter keywords. 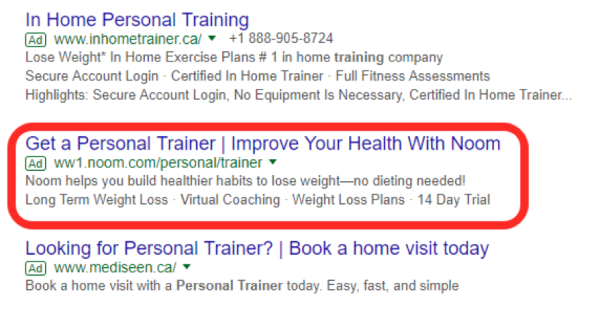 As Google bolds the searcher’s keyword in the copy, you should be clever with how you insert it into your ad. Surprise! Yes, it’s still important to have mobile-optimized landing pages. But there are two methods of doing it. The first, and most common, is to make your landing pages responsive. With mobile-first design becoming best practice, this is a no-brainer. The other approach is to create an entirely separate landing page for mobile searchers. Tailor the copy for mobile searchers, and only include elements that work best on mobile. Follow these four steps to create mobile-specific experiences. 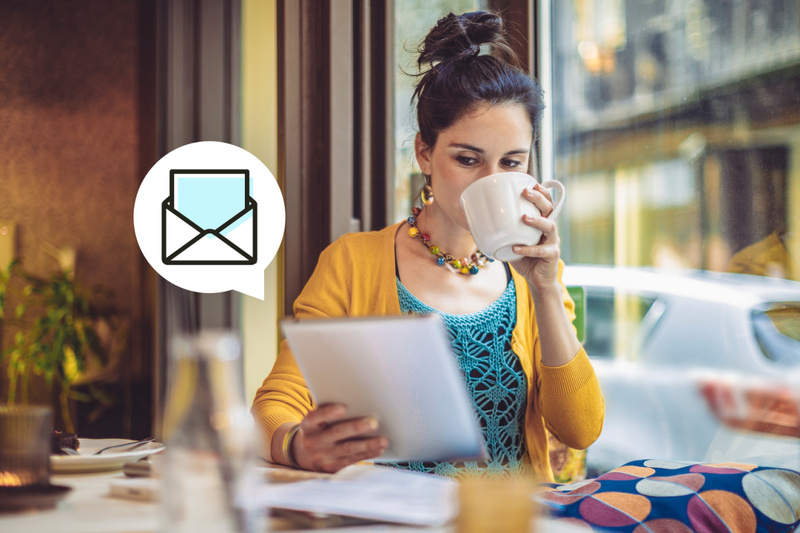 From message all the way to conversion, you’ll keep your mobile users in mind and, therefore, increase your ROI. Not all keywords are equal. The reason behind a search is just as important as the phrase itself. User intent helps you figure out what a prospect is thinking when they type a certain keyword into Google. Informational: The user is likely looking for an answer to their question, or an in-depth guide on how to achieve or overcome a problem. One of the most common user intent mistakes marketers make is trying to get the sale no matter the intent. For example, trying to sell weight-loss products for someone searching “best weight loss recipes” isn’t going to convert many customers. They’re looking for information, not a product. 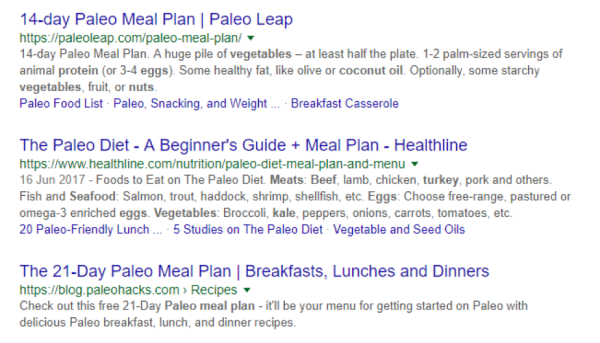 Going along with the theme of weight loss, let’s create a fictional company called “Paleo Power” to illustrate an example. When a user that fits Paleo Power’s customer persona searches for “low-fat snack recipes,” it’s highly unlikely they’re ready to buy. 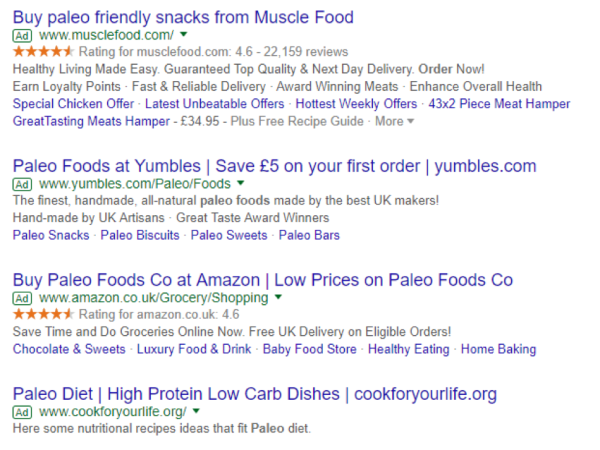 Paleo Power could provide the information they’re looking for (either through organic content or an AdWords-promoted lead magnet). They could then use back-end processes to take care of the nurturing sequence. However, if a user searches for “buy paleo food” or even “Paleo Power reviews,” it’s likely they’re ready to buy relevant products. The former shows they’re looking for products, while the second search indicates research into your brand. Align your campaigns with the user intent of your ads. Don’t let an opportunity to educate and build trust with your prospects slip through your fingers. AdWords has been around for a long time. Which is why it’s so surprising to learn that only 57 percent of accounts have tracking set up for their campaigns. It’s simple: if you’re not tracking results, you have no idea where you’re generating conversions and where you’re pouring money down the drain. And don’t forget the missed optimization opportunities. 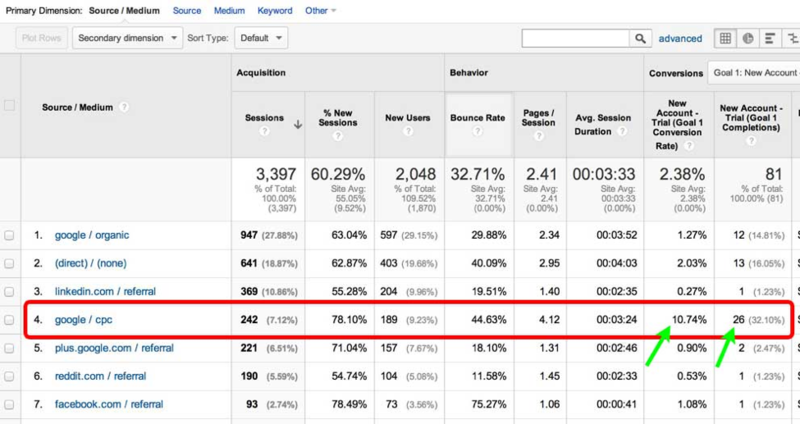 Click-through rate (CTR): Often has the most impact on overall SEM success. Having a high CTR leads to a higher quality score, which in turn means a higher ad position for a lower CPC. Quality score (QS): Not only is QS an indication of how you fare against the AdWords algorithm, but it also provides actionable insights on what to do better. A good quality score occurs when your targeting, ad copy, and landing pages are all aligned with one another. Cost per click (CPC): This is simply the average cost you spend per click. This has a high impact on your CPA, so be sure to pay attention to which keywords bring in the majority of conversions vs. how expensive they are. Conversion rates (CR): Most importantly, how many visitors are actually converting into subscribers, leads, or sales? Often, you can lower your CPA simply by optimizing your landing pages for conversions. Consider using alerts to take your measurement one step further. 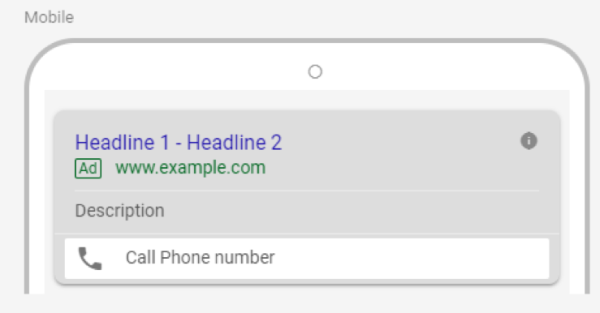 Connect your AdWords account with Google Analytics and create alerts based on certain criteria, e.g., bounce rates and time on page. Chandal Nolasco da Silva is the content director of Acquisio, a performance media solution that helps digital marketers use the power of machine learning to optimize their advertising results.